Toshiba wants to sell its laptop business and it has found a buyer. Sharp, a subsidiary of the huge ODM Foxconn, will buy the business for a comparably low price. Sharp, the buyer of the business unit and itself a subsidiary of the Taiwanese company Foxconn, pays a comparably low sum for the business – it will acquire the Toshiba PC business unit for four billion Yen, which are just roughly 36 Million US-dollar. The transaction is expected to be finished in October 2018. Afterwards, Sharp will own 80 % of the Toshiba PC business, while a minority share of 20 % will remain with Toshiba. I saw two recent Tecras and they seemed really bad - usueless keyboard. I remeber talking to IT guys in mid noughties who used to swear by Tecras as best laptops. If I were Toshiba, I'd say "Good riddance". If not, I'd say "Who cares?" I used to consult with a few companies that used Toshibas and there was really no point. If you're SME and up there's never any reason to move from the big three. I also think the topic is basically saying Toshiba is now owned by Foxconn and its really just the name. I was never impressed by any Toshiba. I remember a Toshiba laptop (some Qosmio model) that somehow couldn't boot Windows 7, but Vista (the OS it originally came with) booted just fine. It was probably a firmware issue, but there were no BIOS updates available for that model. Toshiba to Sharp is like move the deck chair from the Titanic to the Hindenburg. One of my clients has a Sharp photocopier that also functions as a networked scanner and printer. Setting up network printing was a cinch, but network scanning was much more problematic. "Send via SMB/Windows file sharing" didn't work on the newer PCs. After a bit of Googling, it turned out that others have experienced the issue, and that a Windows update changed the default SMB behavior in order to improve security. The bad part: Sharp refused to provide updates because "it works on XP, we don't need to change it". So I had to resort to "Send via FTP" and set up Filezilla on each of the client machines. Furthermore. I had tot assign static IP addresses because their router is a telco-issued DSL modem + router combo that's so locked down that DHCP reservation is unavailable. Last edited by axur-delmeria on Sun Aug 05, 2018 12:10 am, edited 1 time in total. I saw two recent Tecras and they seemed really bad - useless keyboard. I remember talking to IT guys in the mid-nineties who used to swear by Tecras as the best laptops. 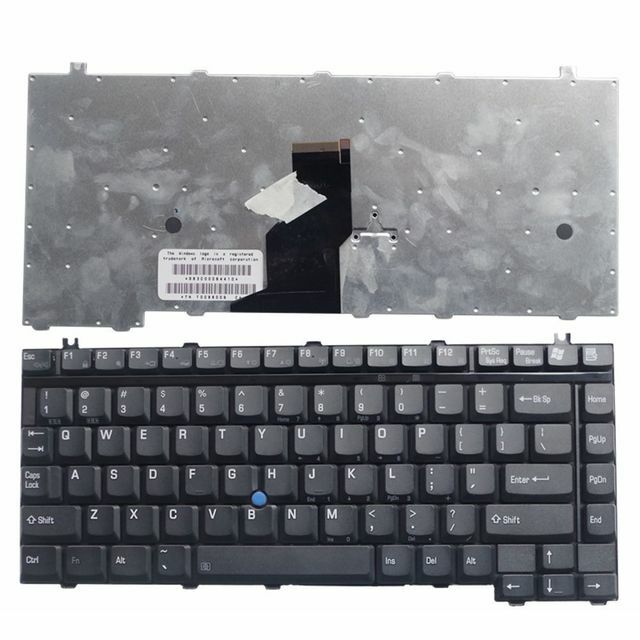 Toshiba's preferred 6-row keyboard layout in general? Those were the most irritating problems I ever had with them, I don't know what made Toshiba keep that strange layout for so many years. Although I believe some of their older 6-row weird-layout-keyboard had good feedback within their mechanism, subjectively speaking. Which is why sometimes I prefer to use my Satellite P25's ALPS keyboard over my R40's NMB. The IT people who you talked to probably had a very good reason to swear by them, considering that the Tecras used to be actually decent back in the old times. At least, based on my experience and usage when I did come across several old Tecra models. The newer Tecra models on the other hand, which I would agree with you, are bad. Back in my early days of being a child, I used to play around with old Satellites or Tecras. What really drew me to them, was this interesting design that belonged to the Mobile Pentium 4-M generation of Satellites/Tecras. I recall it extended up to the Pentium M generation of their line before it gradually transformed into the regular bland square design. The bland square design would mostly continue in their 4:3 Satellite/Tecra models, while the 16:10 models looked great. The 16:10 models' design would also gradually turn bland as time passed, for unknown reasons... oh how I loved that design so much. 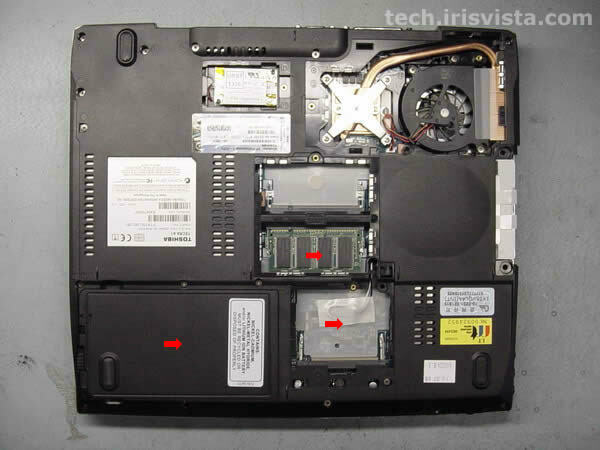 Those designs sometimes had a easy-to-access maintenance hatch to access the heat-sink, located right underneath the bottom of the laptop. The Tecra A1 for example, was one of their designs that had that. That was a plus for me to easily upgrade the processor and probably clean up the heat-sink, boy I liked how serviceable that was! However this design came with its disadvantages too, one of them that always bit me back in the skull was the small battery capacity and size. If you had bought them new, they would most likely last for maybe an hour and a half or 3 hours at best. The weight of it was also something that wasn't friendly to people that were new to travelling with 2.6+ kg laptops either. Recalling all of these good old times with my Toshiba laptops, made me remember about this insanely thin Portege of theirs. This 12.1" Portege R100 had its height at 19.8mm at the thickest point, and 14.9mm at its thinnest point. The dimensions were 286mm x 229mm for the length and width of it, being somewhat bigger than the X30/X31/X32 and the X40/X41. Too bad it didn't really match up in terms of performance, as the processor in it was just a mere Pentium M 733 clocked at 1.1GHz. The graphics chip in it was not that good either, a somewhat ok Trident Cyber-XP4 with 32MB of video RAM. I sure do hope I don't sound like a Toshiba fanboy to any of you here, I swear I am just enjoying my memories of them. 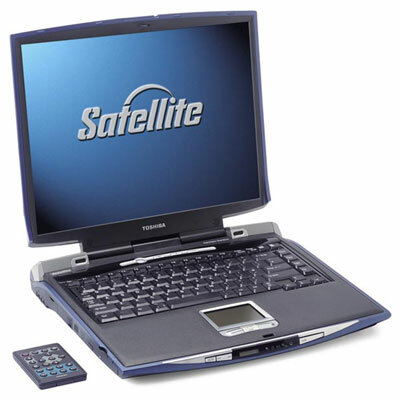 Heck, the first laptop I owned was a Satellite Pro 6000. I liked one 12" Portege 4:3 12" model that boss had at the place I worked. The Satellites are my 2nd most hated laptop line after the Macbooks. Really hated when friends asked me to repair them. another thing is parts are super expensive and its not like you have heaps of old clangers ready to cannibalise parts. I feel like the Fujitsu laptops were leagues above Toshiba and even they werent popular at all. If anybody (perish the thought) should be in need of such a disreputable repair manual, go to the above link, (read that well-written blog), then page down to the very end, to Peter's comment. Found that comment shortly after my last post, currently hoarding the PDFs. There's quite a lot of them. 4. add <html> and <body> tags to turn it into a rudimentary html file. 5. run wget -F -i (rudimentary html file) -nc . The -F option forces wget to treat the input file as html, so all the <a href> links are downloaded, while -nc prevents duplicate files from being downloaded . WIN! Agreed - and my favourites? Sony VAIO and TP. As well as Let's Note, FMV, NEC LAVIE, and plenty of JP brands, though I'd never buy them... Toshiba made their own BIOS code etc. Who does TP's?? Oh ho, come on, it's just webarchive - access em anytime! I prefer to keep my own copy, thank you. I've seen some webarchived pages with missing images (what if it's a schematic or something similarly important). Webarchive is kept secreted indeed. I used to wonder why images stopped displaying at times. Thank you! I still have the Satellite 2410 in my signature. It's one of the P4M models Screamer mentioned in his post. I had to replace the hinges a few years ago, but other than that it was a solid machine with a vibrant 4:3 screen. Can't complain about that combination. 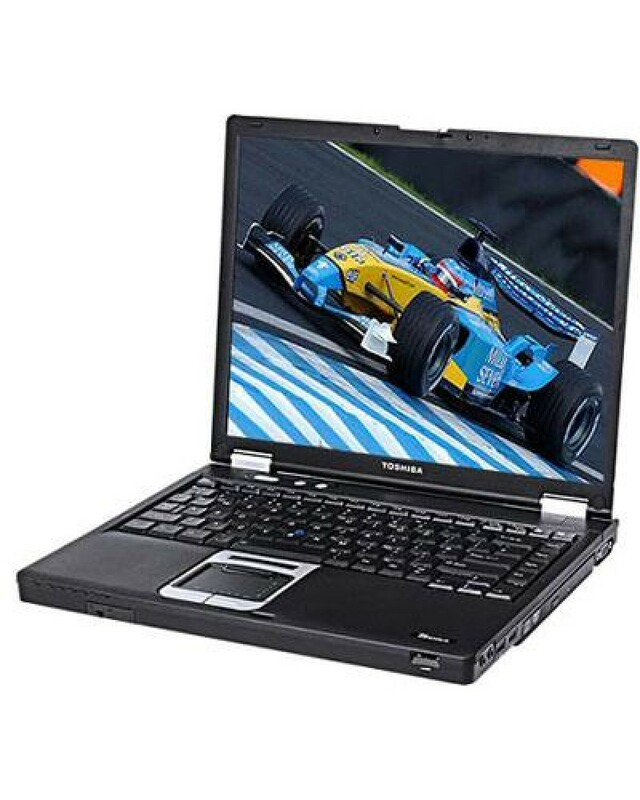 Toshiba is an odd brand, they made mid-range consumer laptops, but some were very bad. My father had a toshiba 15.4" device, something with AMD and BluRay, my brother played games on it for awhile, its still kicking strong. The Qosmio laptops are very absurd devices, but they have that larger than life charm to them, had a few, I think X505 and X305. I paid basically nothing for them, to flip, a bit too plasticy, but had pretty good audio. A long time ago Toshiba laptops were very good. I absolutely love the light grey Toshiba laptops: Porteges (t3400, t3400ct, t3600, 610ct, 620ct, 660cdt), Satellites (490xcdt), and Tecras (780cdm/dvd) from 1993-1998 were exceptionally good and exceptionally strong competition for Thinkpads (some perhaps even better for their time). Sad to see the long decline and final fall of Toshiba. I actually think this is just part of a Japanese trend of declining sales and innovation - Not only Fujitsu, Toshiba and Sony but Sharp themselves haven't been doing that well either with their TVs. Or Panasonic and Pioneer TVs when was the last time you saw one of those? Or Sony's phones. A lot of Japanese companies have fallen from their glorious heights in the 1990s and now are being replaced by Korean and Chinese companies the likes of Lenovo, Samsung, LG, Xiaomi, Huawei etc The only thing Japan seems to still have a stranglehold over is the camera and video game markets. And now even the Koreans are starting to feel the heat - with Chinese competitors stepping up the quality and innovation of their products, at even lower costs. And the Chinese are onto the next-gen products, too : phones with flexible screens, AI, self-driving cars, etc. With little doubt, the coming decades are going to be theirs (I'd even speak of a Chinese Century overall). The only thing Japan seems to still have a stranglehold over is the camera and video game markets. As I used this forum long time ago to put my R500 on track as a mere reader, I remembered this maybe can be of interest here.